So, you’ve decided to welcome a new addition to your family – congratulations! 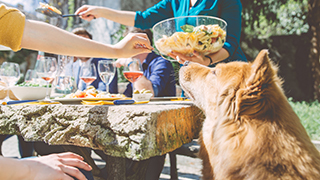 Choosing a pet is a big decision, and it’s important to make a choice that suits your family, your home and your lifestyle. Here are our top tips to help you make the right choice. As well as being an exciting step, owning a pet is a big responsibility. You may be choosing a pet to introduce the idea of responsibility to your children, for companionship, or purely for the joy of having an animal to love and care for. The most important thing to think about when choosing a new pet is the level of care the animal will need, and the amount of time you have to take care of them. For example, a working couple with a long commute that takes them out of the home for most of the day probably aren’t suited to owning a dog. Instead, they may be better off choosing a new pet that’ll need less time and day-to-day care, such as a rabbit or even a cat. 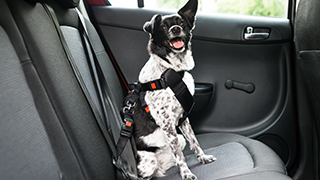 (Of course, if you’re dead set on getting a dog, there are many dog-walking and dog-sitting services out there that’ll take great care of your pet pooch while you’re at the office. You’ll need to consider the logistics and the cost carefully before you choose your new pet). By comparison, a retired couple with plenty of time on their hands for long walks and companionship may be much better suited to owning a dog. How much care and attention will my new pet need? How much exercise will it need? How much will my new pet cost to look after? Will it take up much space in my home? What is the expected lifespan of this animal? Does it need any special equipment? What’s involved in grooming, and how often does it need to be groomed? What sort of food will my new pet eat? Will it live inside my home or in the garden? Choosing a new pet is a long-term commitment, so always do your research before welcoming a new addition to your family – and never impulse buy. Your local vet will be happy to help advise you on the best pet for you and your family. The cost of buying your new pet is just the start, so always remember to budget for the lifetime of your furry friend. If you’ve decided on a dog, chances are you’ve already chosen the breed of dog you want. Different breeds of dog have vastly different needs and personalities, so it’s important that you choose a dog that suits your lifestyle. Read everything you can on your chosen breed’s temperament, expected lifespan, the amount of exercise they need and any health issues the breed may be prone to, to be sure you’re making the right choice before you buy. For example, if you or your children suffer from asthma, you may want a hypoallergenic dog. The dog breeds best suited to people with allergies include everything from poodles and shih tzu to Tibetan and Yorkshire terriers. Do as much research as you can before making your final decision – your local vet can help, and there are hundreds of reliable sources of information and advice online. It’s vital to choose a reputable breeder – again, your local vet is on hand with information and advice. Cats can be independent, solitary creatures but they still need a lot of love and care. 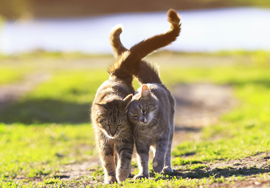 If you’re out at work during the day, will your cat be able to get outside for exercise? Does your home have a suitable door in which a cat flap can be fitted? Long-haired cats in particular need a lot of grooming, so be sure you have plenty of time on your hands before committing to a long-haired cat. Some cats have a tendency to claw and scratch at furniture and carpets – even if you provide scratching posts – so may not be the best choice if you’re especially house-proud. Rabbits can make great house pets, and don’t need as much looking after as dogs or cats. While they may look super cute and fluffy, they don’t always like being cuddled or picked up, so bear this in mind if you’re choosing a pet for young children. Rabbits are very sociable creatures and can be lonely if kept on their own. It's advised that you keep rabbits in pairs or with other compatible animals such as guinea pigs - seek advice from your vet on suitable pairings and introducing companions to one another as there are lots of considerations. Small animals, such as guinea pigs and hamsters, can be a great starter pet for families with young children. They’re also a good choice if your home is small – or you live in an apartment, for example. Bear in mind that some small pets – including hamsters, chinchillas and some breeds of gerbil – are nocturnal, so they’re often asleep during the day when the kids come home from school and want to play. 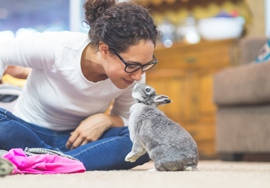 Small animals are relatively inexpensive, easy to care for, and can be a great way to introduce young children to the responsibilities of owning a pet. Need advice on choosing a pet? Your local vet can provide more advice and information to help you choose the right pet. To find your nearest recommended vet or pet clinic, use our Find a Vet page.